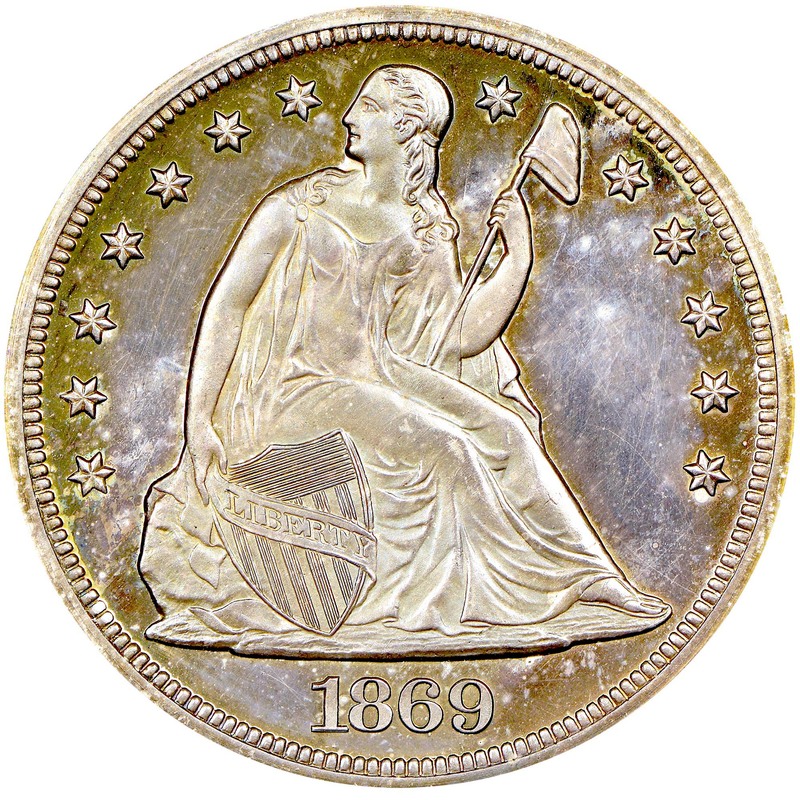 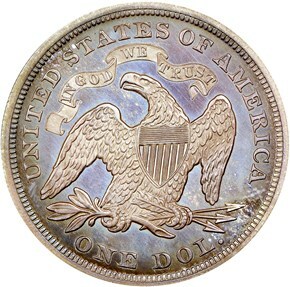 The Philadelphia Mint used three different obverse dies to deliver 600 proof Seated Dollars in 1869. Survivors are most easily attributable by the orientation of the shield point relative to the 1 in the date. 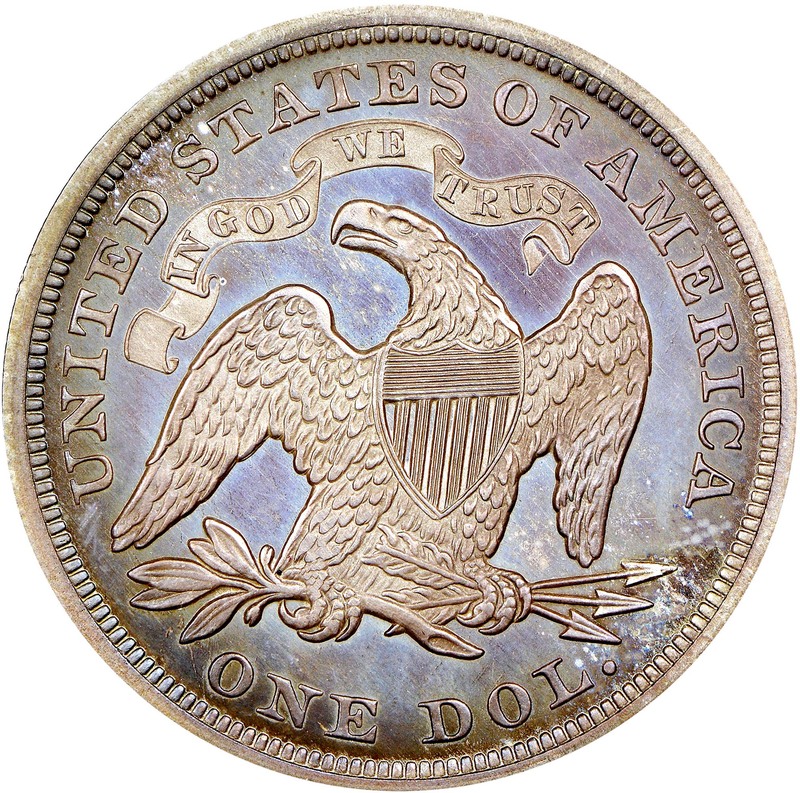 Most of the 423,700 business strikes originally produced were exported to the Orient with the result that Mint State survivors are scarce to rare in all grades.